More and more bathroom users, but also fitters and tilers, know this situation: grout and tiles of the new shower area soon take on an unattractive appearance. Limescale, black marks, even mould spoil the original appeal leaving a deterring and unhygienic sight. Moisture damage due to minute cracks in the grout is not uncommon. This scenario needs to be addressed by a specialist, and fast. 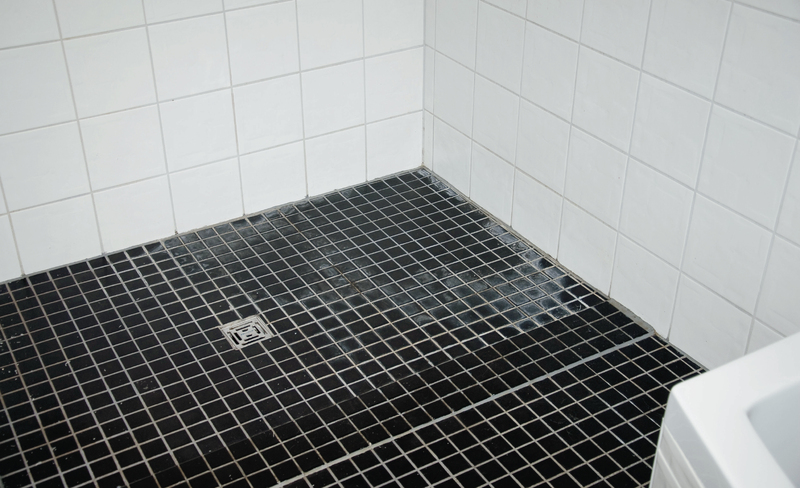 After painful experiences with tiled showers, builders and investors now look for a solution with optical appeal, but more so, one that is hygienic, easy to clean and reliably sealed. Providing enamelled shower surfaces with appropriate installation technology, Kaldewei offers bathroom designers a quick and easy solution for stylishly redesigned bathrooms with guaranteed lasting quality. The manufacturer demonstrates in simple steps how sanitary fitters can replace an unsightly tiled shower with a floor-level option made of Kaldewei steel enamel using its enamelled shower surface Conoflat and the matched installation system frame ESR II as an example. In a first step, the dimensions of the enamelled shower surface, the required size of the floor opening and the structural height of shower surface, installation system and siphon are determined. The current structural height is quickly established simply by drilling all the way down to the base concrete. 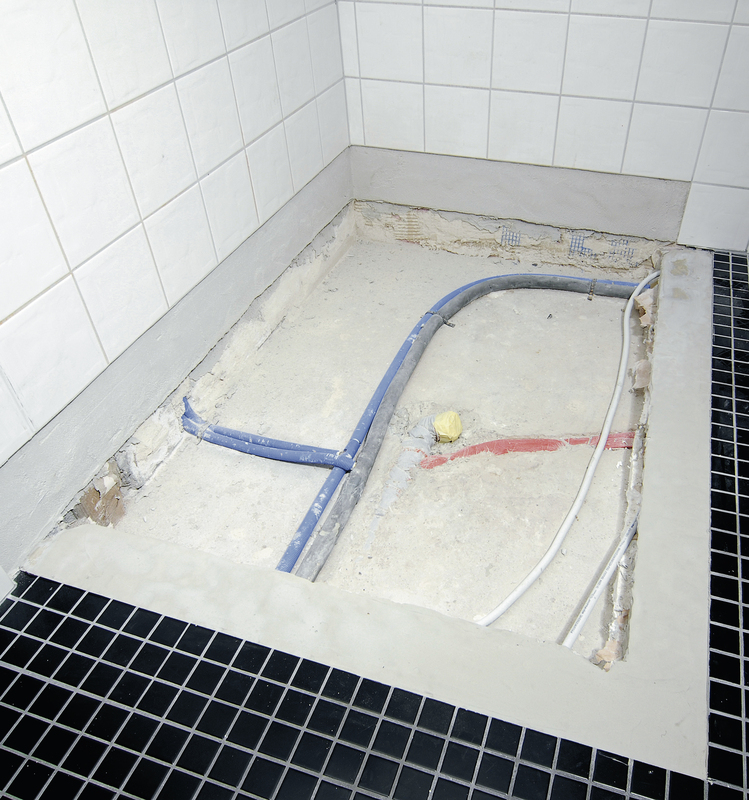 Once these parameters are known, the fitter can remove the old tiles in the shower area and chisel out the exposed screed down to the base concrete. The fitter then positions Kaldewei’s installation system frame ESR II in the resulting floor opening. The sound-insulating feet of the ESR II are infinitely variable for height adjustments between 67 mm and 164 mm. The ESR II can even be installed with a height as low as 49 mm. If installed at less than 107 mm, a recess will need to be cut into the base concrete for the siphon, or else the use of a vertical siphon outlet is recommended. To avoid existing pipes leading through, the individual feet of the ESR II can also be moved horizontally. The foot frame is then accurately straightened using a spirit level. Two floor fixtures for the feet secure the ESR II in its ultimate position. Once the installation system frame is correctly positioned, the drain-off pipe is connected. For this, the appropriate special siphon is put in place and connected to the existing drain-off pipe. The anti-seepage connection with backflow barrier from frame to siphon, which is supplied with the ESR II, provides additional protection if tears or cracks appear in the silicone joint, as penetrating shower water is channelled from the frame profile directly to the siphon. To seal off the joint between enamelled shower surface and wall or floor, the supplied fleece butyl sealing strip of the shower tray sealing system is attached to the installation frame and integrated with the other bathroom sealing using sealing coating. The ESR II is provided with four installation aids, which are attached to the corners of the frame to simulate the outer contour of the enamelled shower surface to be installed. 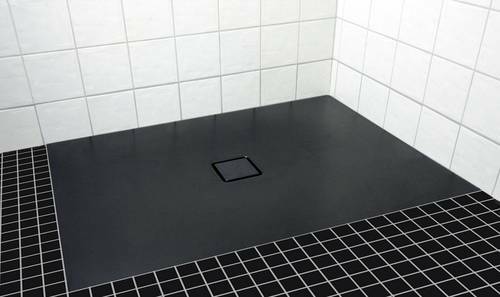 The aids facilitate precise tiling of the wall or floor and guarantee that the shower surface can be accurately fitted later on. Once the tiles are expertly laid, the sound-insulating rubber profiles are placed onto the frame and the enamelled shower surface is fitted on top. The fitter then connects the siphon and seals the shower with a circumferential silicone joint. This is best done with the appropriate load applied to the shower surface. The installed enamelled shower surface can be modified at any point in the future, as Kaldewei’s installation system ESR II makes dismantling as easy as the installation. On request, the enamelled shower surface can also be installed with Kaldewei’s sound insulation kit DWS for shower trays, which meets the requirements of DIN 4109 Sound insulation in buildings, VDI 4100 SST 3, SIA 181 and ÖNORM B 8115-2 Sound insulation and room acoustics in buildings. The Conoflat with installation system frame ESR II guarantees impact sound insulation to the same standard as high-quality screed. The enamelled shower surface made of Kaldewei steel enamel comes with a 30-year manufacturer’s guarantee. The individual installation steps are also detailed in the video “Kaldewei -- installation system frame ESR II” on Kaldewei’s YouTube channel (http://tinyurl.com/Kaldewei-Conoflat-Installation). Conclusion: Enamelled shower surfaces from Kaldewei transform tiled showers quickly and easily into attractive shower areas that meet all the requirements regarding aesthetics, hygiene and protection. This leaves the fitter, tiler and architect free of hassles due to unpleasant objections and complaints in the future, and the user free to enjoy his new shower without worries.